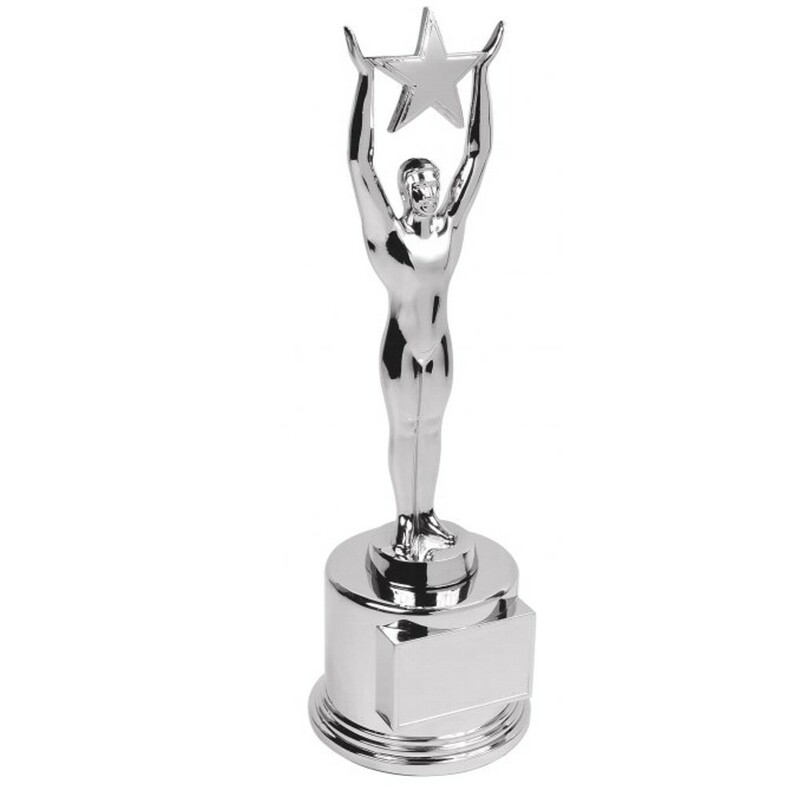 This unique silver chrome Oscar style star achievement trophy is a superb award. The highly polished heavy metal figure is mounted onto a solid chrome heavy base. 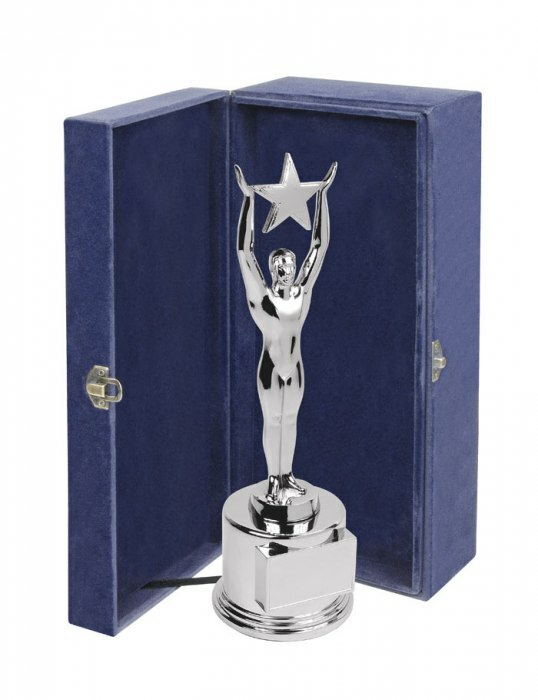 We have a great range of Oscar style trophies. The award stands 10.5 inches (265mm) in height, the diameter of the base is 85mm. A superb great weighted award.